Railpictures.ca - Matthew Tozier Photo: NS C93 sits in Fort Erie with the Lehigh Valley heritage unit while it waits for CN 531 to arrive and begin switching. | Railpictures.ca – Canadian Railway Photography – photographie ferroviaire Canadienne. Copyright Notice: This image ©Matthew Tozier all rights reserved. Caption: [Editors note: You know when you shoot a train and sometimes someone is standing beside you. Sometimes this happens on this site too. 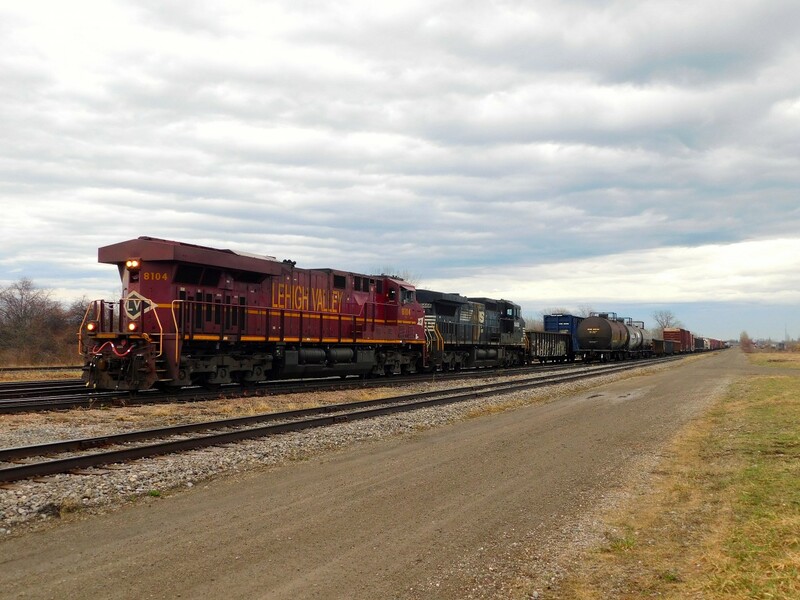 This is the virtual manifestation of your buddy beside you shooting at the same time :) ] NS C93 sits in Fort Erie with the Lehigh Valley heritage unit while it waits for CN 531 to arrive and begin switching.